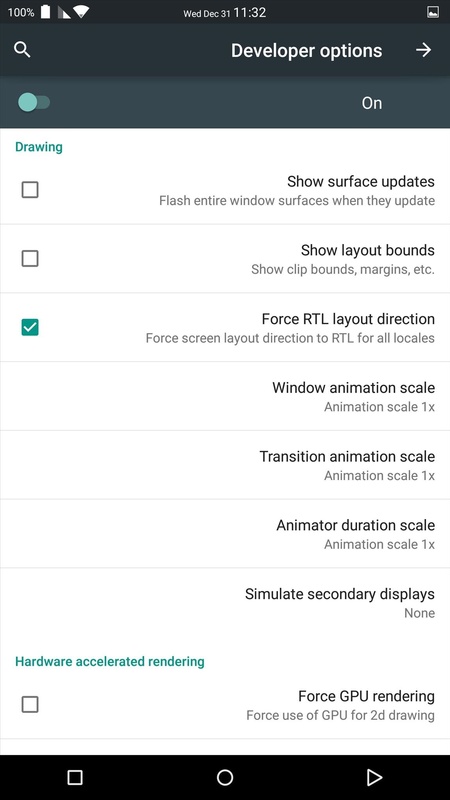 No matter what device you have, the process is pretty much the same: just go to the "About" section in your Settings menu and tap on the "Build number" seven times. This will enable the Developer options in Settings. 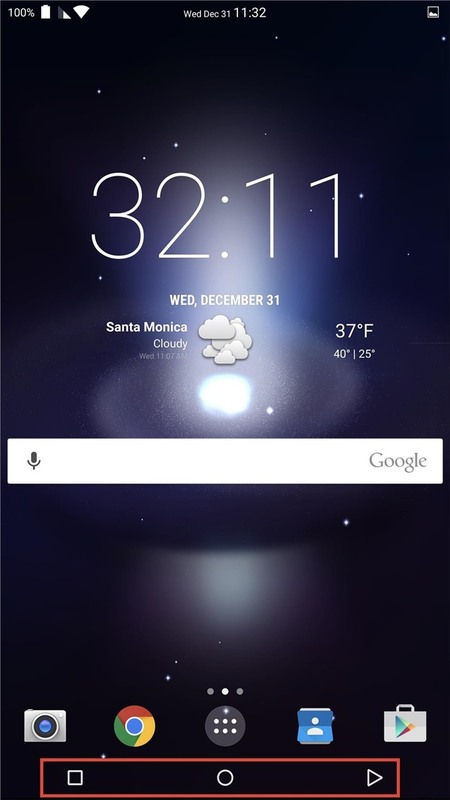 For examples on doing this, check out our guides for the HTC One, LG G3,Nexus 7, and Samsung Galaxy S5, among others. 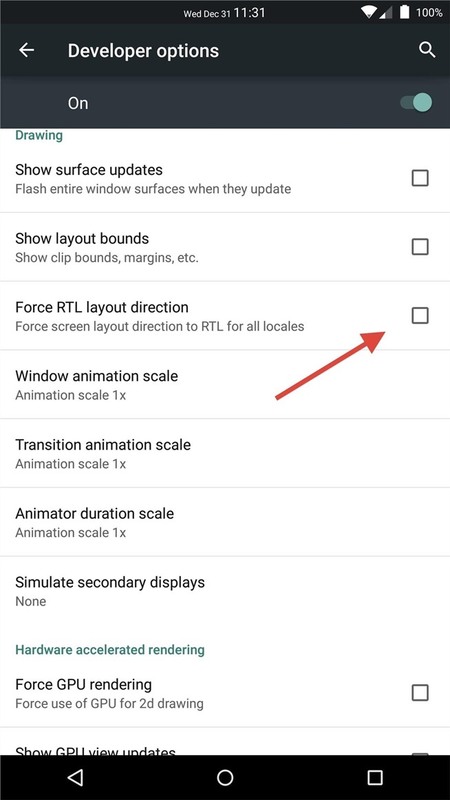 Tick the box next to the "Force RTL layout direction" option,  The menu with RTL enabled. 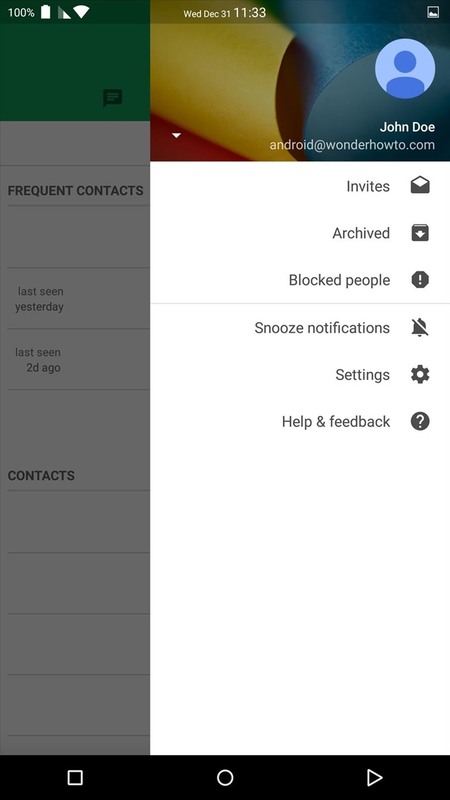 The Hangouts' menu on opposite side,  The nav bar with the Back and Recent Apps switched.